Is all hobby income taxable? Yes, hobby income is taxable. Any income you make from writing, freelancing, your blog, etc is taxable income, even if it’s just a hobby. Sorry, but the IRS does not give an exemption for income from a hobby. 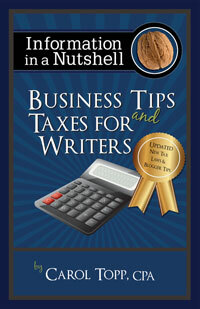 Read Chapter 1 of my book, Business Tips and Taxes for Writers, for more information on hobby income. Don’t call yourself a hobby writer!